Reader Question: I have severe itching on both my arms mainly at night. Can feel like a pin prick bite followed by intense itching. Also happens during the day just not as severe as at night. Could this be bed bugs? For larger infestations, we would also expect reactions on your lower legs or other areas that are exposed during sleep. The best thing to do is to call in an exterminator from a reputable company such as HomeAdvisor (or call 866-214-8380). 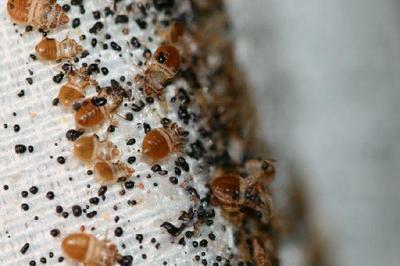 The exterminator can check for bed bugs and provide advice for removal. In the mean time, keep your arms covered during sleep (bed bugs will not bite through clothing) and use an over the counter insect itch cream. Join in and write your own page! It's easy to do. How? Simply click here to return to Itch.